In addition to uploading your web files to addon domains, you can also create email accounts for addon domains. 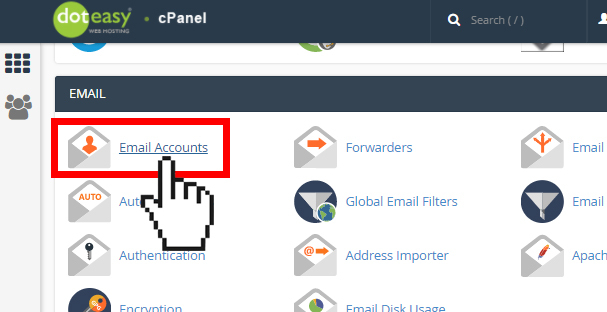 Click Email Accountsunder Email in cPanel. 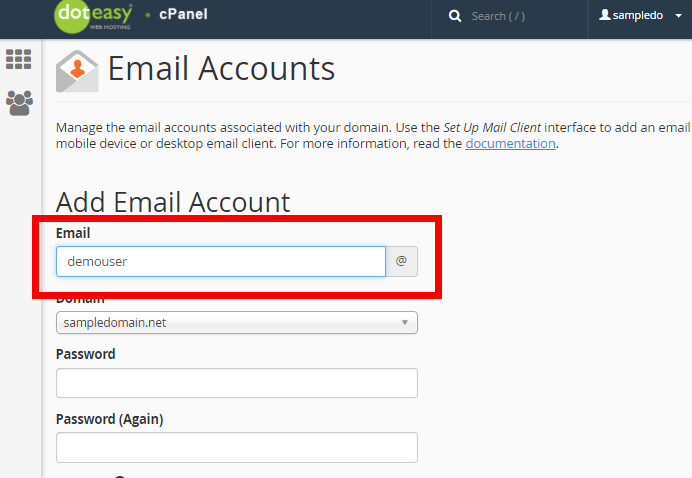 Under Add Email Account, enter the email username (the name that comes before the @ sign) in the Email text field. Using the Domain drop-down menu, select the addon domain you want to create this email account under. 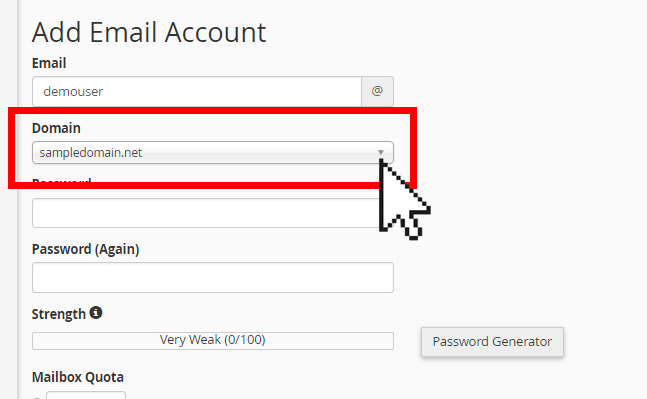 Enter and re-enter a password for this email account. 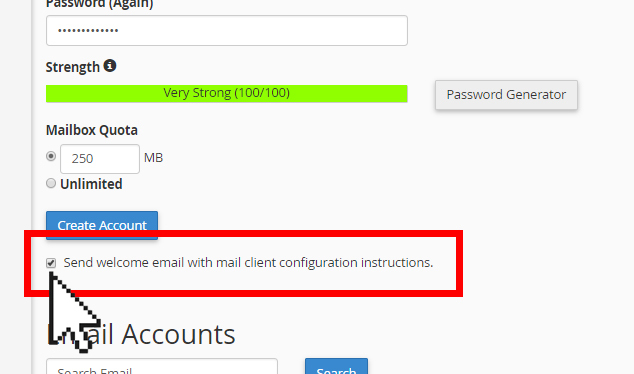 Under Mailbox Quota, select the desired mailbox storage quota for this email account. You can enter the desired quota (numeral value) or you can select the Unlimited option. If you want to send a Welcome email to this email account, check the Send welcome email with mail client configuration instructions option. When ready, click Create Account to complete the process.